Corporate Environmental Risk Management, LLC (CERM) is an environmental, engineering and program management firm. 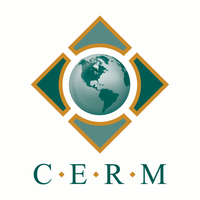 Established in 1995 and headquartered in Atlanta, Georgia, CERM has experienced steady growth with large-scale project leaders, governmental agencies, municipalities, and corporate clients. With our professional staff of engineers, scientists, surveyors, planners and technicians, CERM provides comprehensive and lasting solutions to address unique problems in transportation, environmental, water, and energy throughout the Southeast. We’re collaborating on environmental, engineering and construction where we can support workforce and economic development. We’re applying our experience in surveying/mapping to improve transportation in urban settings. We’re using our remediation experience to make schools safer for teachers and their students. Working in partnership with our clients, we are committed to delivering first-class service and we’re dedicated to serving the community that surrounds us. We have a proven track record you can trust and we welcome the opportunity to deliver value in addressing your next project.